There’s a secret that Internet marketing agencies don’t want you to know… Are you ready for it? The secret is that there are very few secrets, but many agencies and small business owners aren’t ready to put in the effort that it takes to win the Internet with lasting results. We’re all looking for short cuts or quick results. Of course, short cuts rarely lead to long term results and they rarely attain the results that they promise. One of the largest drivers of local business doesn’t take a secret. It just takes a review. While looking over a competitive analysis with our Marketing Strategist, Taylor McGlamery, we noted how a customer’s competitor was beating out a new client because of their customer review strategy. The competitor currently has 100 to 1 reviews compared to our new customer in the home services industry. At this point, there is only so much that we can do with content marketing, social media, and search engine optimization. Our new client needs customer reviews, and we can’t fake it, pay for it, or wave a magic wand and make it happen. When it comes to driving more customer reviews, it’s going to require effort from both of us to attract and properly monitor feedback. 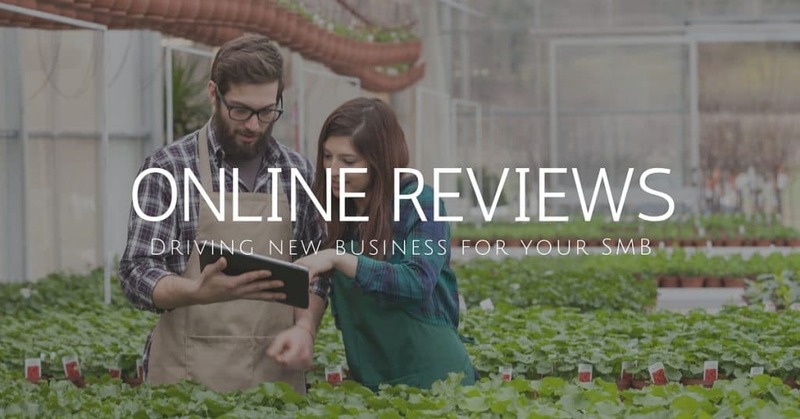 An online review can help a small business rank better online in Google, Yahoo, Bing, and even Facebook (currently working on their own local service). Make sure your Google My Business page is claimed and easy to find. Other than rankings, reviews help build customer confidence and are more likely to attract customers making a last minute decision. If we can help a sales prospect build confidence before reaching out to you, then your sales team should have a higher close rate. Online reviews help provide small businesses with the kind of local clout that they need to close business. Small businesses can build their online reviews by making it part of their culture. As a small business, each team member (or solopreneur) should be trained to make an ask for a review as part of their daily standard operating procedures. Customer reviews help attract business and they also help you build a better business. While they might seem scary at first, reviews can help expose the vulnerabilities that currently lie within your business. Online reviews can be profit drivers for small businesses that deliver great customer experiences. Don’t miss out on customer reviews that have lasting results. Contact us today to learn more about your online listings.